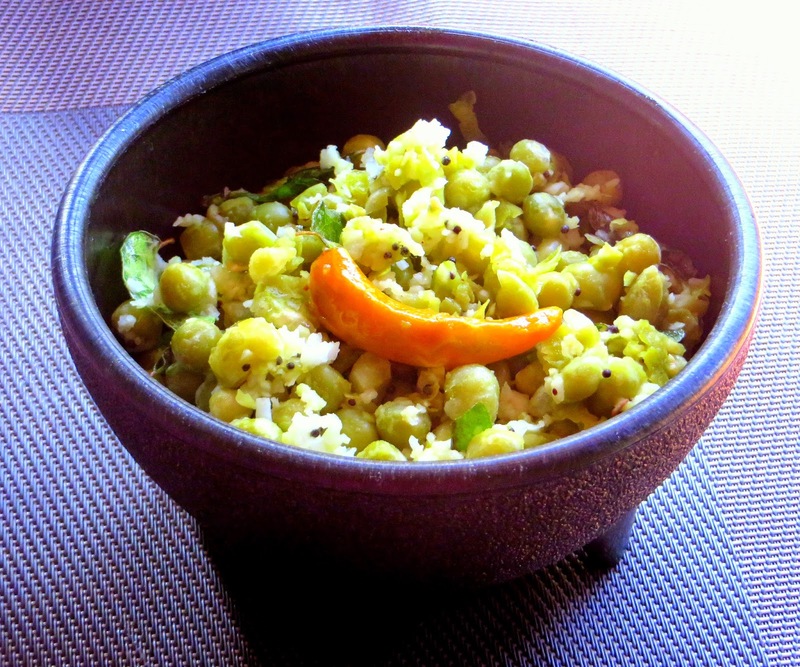 This sundal is made out of the store bought dry green peas. Soaked it over night. Cooked and seasoned the peas to make this sundal. Here's the recipe. Soak dry green peas overnight in water. Pressure cook the peas with just enough water adding 2 teaspoons salt. Cook for about a whistle or two. After the pressure is released, add 1 cup water and fish out the outer skin of the peas that's floating on the surface. Drain water and keep it aside. Add the green chillie, curry leaves and asafoetida powder. Add the cooked peas and stir. Sprinkle just enough salt and add the grated fresh coconut. Give it a stir and turn off heat. Green peas sundal / pachai pattani sundal is ready to be served.